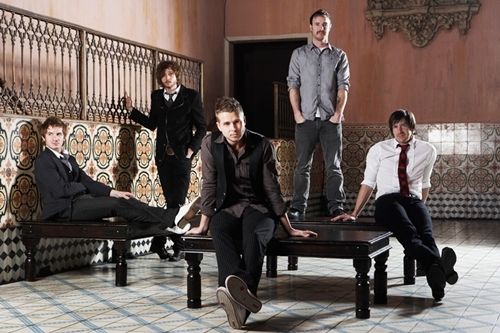 OneRepublic have been gaining momentum quickly in 2010 with the recent release of their sophomore album Waking Up and current single “All The Right Moves.” The track is making its way up the Top 40 chart and continues to increase digital downloads each week. Next month, the Denver quintet is slated to perform the song at the NBA All Star Game and at the Winter Olympics. Check out a brand new acoustic performance of “All The Right Moves” that the band recorded for MySpace’s Down The Front sessions. The intimate performance features Ryan Tedder’s stripped down vocals accompanied by a beautiful cello and xylophone.